All You MUST Know About Honeypreet Insan, The Lady Who Takes Charge Of Dera Sacha In Ram Rahim's Absence! She is Ram Raheem's adopted child. 1990, will be marked as an important year as Gurmeet Ram Rahim Singh aka head of social group called Dera Sacha Sauda came into existence. This 50-year old guru has been in the news lately for the past one week, for his court hearings, riots and deaths cause by his followers, and his controversial life. Ram Rahim, is also known to be a music producer, music producer, singer-songwriter, actor, and filmmaker. He has three children with his wife and one adopted. Nevertheless, Gurmeet Ram Rahim was taken to the Rohtak district jail from where the reports have come that he has become a prisoner no. 1997. What caught the eyes of media was a lady accompanying him when he was being taken to the Rohtak jail in a chopper. 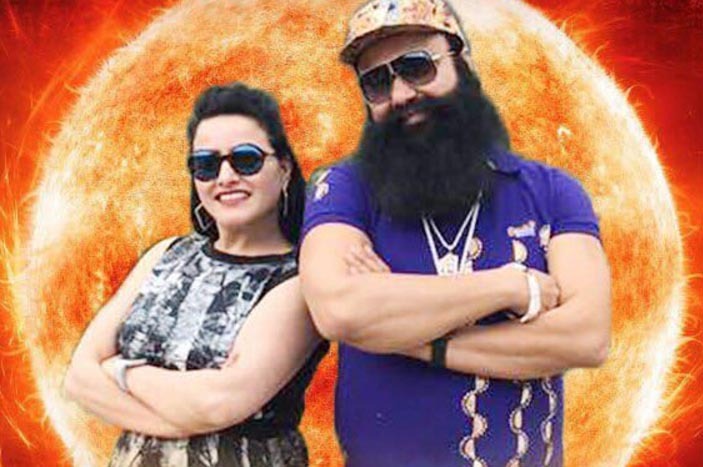 The lady is named Honeypreet Insan and there are reports that after Gurmeet Ram Rahim, she is one of the top contenders for being the next chief of Dera Sacha Sauda. She is none other than the adopted child. Let’s have a look at 11 facts about her. 1) Honeypreet Insan was Priyanka Taneja, and she hails from Fatehabad near Hisar. 2) She is married to Vishwas Gupta, a Dera follower from Sirsa, in the year 1999. 3) The closeness between the chief and Honeypreet gave birth to a massive rift between her and Vishwas. He even approached the court in the year 2012 stating that the chief has exploited his wife sexually but later withdrew the allegation. 4) She is the director of all MSG movies. 5) She likes to describe herself as ' Papa's angel', philanthropist, director, editor and actress" on social media. 6) She has over one million followers on Twitter and more than five lakh on Facebook. 7) She has her website -, also has introduced herself as "a great Daughter of an amazing Father." 8) She has two sisters Amarpreet Kaur Insan, Charanpreet Kaur Insan and one brother Jasmeet Singh Insan through Gurmeet Ram Rahim. 9) She has acted in her own films. 10) She currently has directed Jattu Engineer. 11) Honeypreet Insan has been given a title of Guru Brahmachari. Also Read: Mithun Chakraborty’s adopted daughter is all grown up and here's how she looks now! Parents, Ranbir Kapoor is the PERFECT example of why marks are not everything in life!